Delurk [dih-lerk] – verb : to participate in something you only previously spectated. 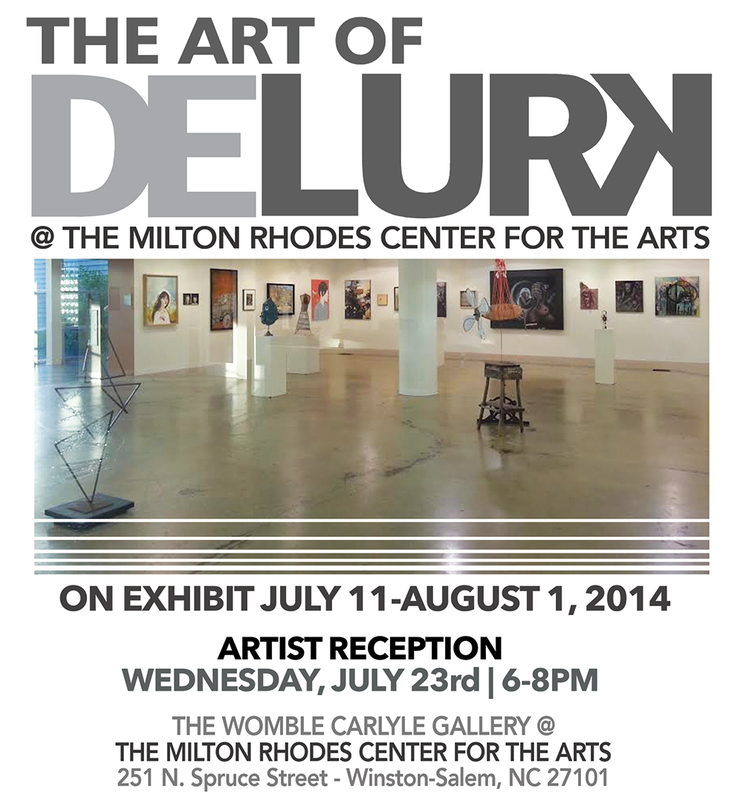 An artist run gallery, located in the heart of the Arts District in downtown Winston-Salem, NC; Delurk has a large flexible gallery space with shows that rotate through on a monthly basis featuring new bodies of work by guest artists as well as fresh submissions selected from current Delurk Collective Artists. Committed to bringing quality work to the conversation and the community, the current exhibit at the Womble Carlyle Gallery showcases the diverse techniques, styles and concepts that the contributing artists of Delurk put forward each month.